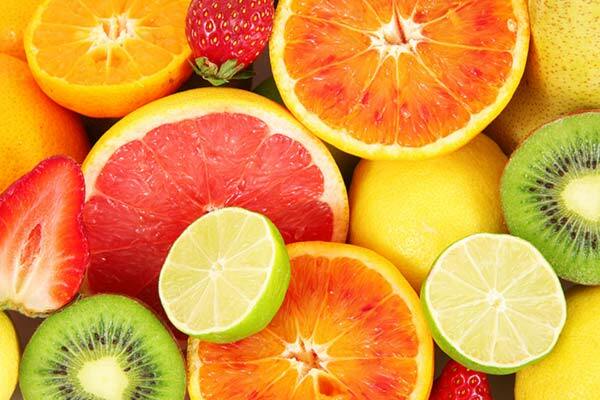 ​ Vitamin C, or ascorbic acid, is an essential nutrient for humans and other animals. It is a cofactor in several enzymatic reactions including production of collagen. Vitamin C is a strong antioxidant, as it easily releases electrons and therefore neutralizes free radicals. ​ Humans must eat food that contains certain amounts of vitamin C to maintain their health. Recommended daily intake of vitamin C is 80-90 mg per day. Examples of food with high vitamin C levels are rose hip, chili pepper, guava, blackcurrant, kiwi, broccoli, loganberry, lychee, papaya, strawberry, orange and lemon. ​ Vitamin C occurs in high concentrations in immune cells and is consumed quickly during infections. Scientists do not exactly know what role vitamin C has in the immune system, but it is suggested that vitamin C modulates the activities of phagocytes and production of cytokines and lymphocytes. It is observed that animals that naturally produces their own vitamin C, rapidly increase their vitamin C levels during stress, for example when having an infection. Vitamin C can be stored in the body for some weeks. Lack of vitamin C results in scurvy, a lethal condition that causes blood vessels to became brittle and rupture. Bleeding from the gums may be an indication of low vitamin C level. ​ Research suggests that low intake of vitamin C increase the risk for stroke. In 1953 did the Canadian doctor Willis report that vitamin C deficiency was identified as sole cause of atherosclerosis in laboratory animals. The reason was that vitamin C deficiency resulted in increased production of cholesterol to repair damaged blood vessels. It was later proved that high vitamin C levels reduced cholesterol levels. In 2011 did doctor Levy in USA report that vitamin C deficiency is the solitary root cause to all coronary arterial blockages.